Miss Salisbury joined Blenheim Primary School in February 2017 and was appointed to the role of PE and Sports Leader in September 2018. Miss Salisbury has a wealth of experience behind her including a keen interest and specialism in sports coaching. During her youth, Miss Salisbury was one of the first women advocates for mixed-gender sporting opportunities in Kent. It is with thanks to Miss Salisbury’s contributions that Kent now enjoys both girls and boys cricket teams. Miss Salisbury also competed in county competitions for netball and was part of the winning Netball Team two years running. Miss Salisbury has previously worked as a tennis coach and in 2013 gained a qualification in Sports Leadership in Primary Schools. More recently, in 2015, Miss Salisbury received an award from the FA which means she is a qualified football teacher. 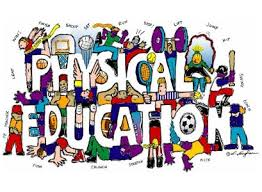 Blenheim Primary School believes that physical education is an essential part of a child’s educational development. We recognise the importance of promoting and developing a healthy lifestyle and therefore aim to provide a high-quality, broad, rich and engaging curriculum through offering a variety of activities to enhance all skills. We strive to inspire children to challenge themselves personally and academically through a cross-curricular delivery of physical education. Alongside lessons, we provide frequent opportunities for children across the school to participate in competitions and events, building their resilience and actively embedding our Core Values. There are also a wide variety of lunch time and after school sports clubs run by both staff and external coaches for the children to attend. Positive and inclusive participation in physical education will enable children to build, self-esteem, team work, and positive attitudes in P.E. and across the curriculum. Subsequently children develop a passion and love for sports both inside and outside of school. This should, in turn, build the foundations for children to have a healthy lifestyle and manage a balanced diet which is also explored in cross-curricular PSHE and Science lessons across the school.